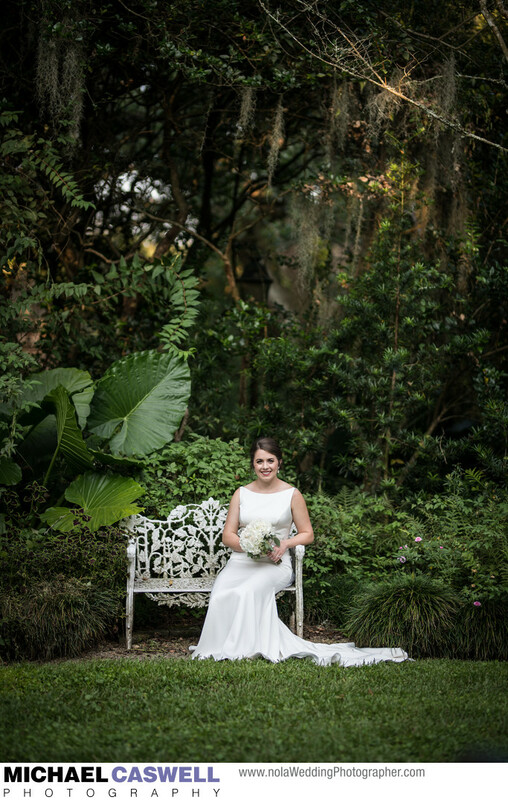 The LSU Rural Life Museum and Windrush Gardens in Baton Rouge is a wonderful place for a bridal portrait session, offering a wide variety of rustic spots to shoot, as well as lushly landscaped natural settings. This particular portrait session was a lot of fun because the bride's mother had, when the bride was just a little girl, taken some photos of her on these grounds, and we sought out some of these same spots to replicate the old photographs. The bridal portrait images and old photographs were displayed side by side at the wedding reception at Latrobes on Royal in New Orleans. Location: 4560 Essen Ln, Baton Rouge, LA 70808.